Hi and welcome to Color Throwdown number 47! This weeks color combo, Cameo Coral, Tempting Turquoise, and Kiwi Kiss, or any lime green, was inspired by this lovely piece of patterned paper by Crate Paper that was in my stash. I was thrilled to be able to match it up so well with the SU colors I picked. 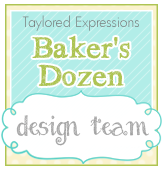 Please play along...remember you could be chosen as our featured stamper and also be in the running for August Guest Designer. Please remember to use CTD47 when you upload to a public gallery. We look forward to seeing your creations! Happy Wednesday! Just a reminder to leave a direct link to your creation with Mr. Linky below. Any links to blogs or galleries in general will be deleted. 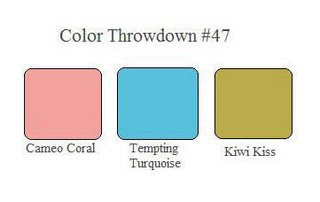 And please be sure to reference the Color Throwdown in your post, so others can find the challenge, too! Thanks! What a great challenge! I love all the cards you fantastic designers made! Have a wonderful Wednesday! Great color combo, Danielle! Love all the samples! I linked my card above. I just love the Color Throwdown and this one was a real challange...never would I put those 3 colors togeter...but I think it worked? 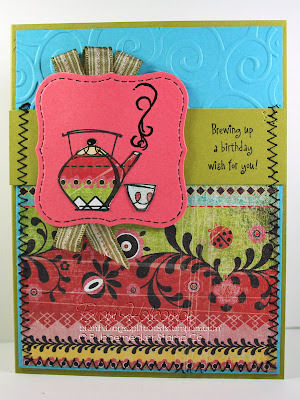 Fun color combo and fantastic DT cards. Thanks so much for the inspiration. As always ... this color combo really made me think!! Thanks for the fun!! p.s. 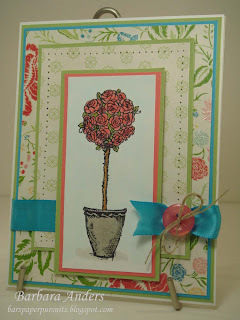 the Throwdown Team's cards were all lovely and a great source of inspiration! Neat color combo, trust me that's turquoise on there. I will learn to improve the lighting soon. This is my first time with CTD, I had fun! Great desgn team! Wow! What great designer cards!!! Here's mine: http://valspaperobsession.blogspot.com/2009/06/bee-thankful-lsc225-ctd47.html Thanks for the fun!! these are great colors! adn as usual, your DT did great with them! 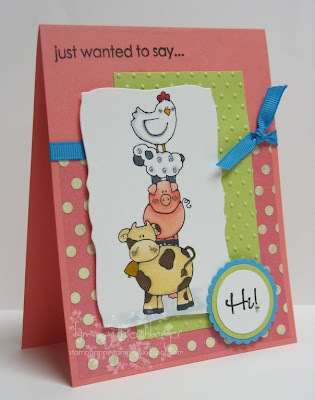 What beautiful cards to be inspired by! Thanks for the challenge! Thank you so much for the color challenge. It is really great to see these colors together. Your designers' cards were wonderful. ok I played :) I think this is my first time here. I ADORE this color combo, sooo pretty! What a lovely color combo challenge. All of DT sure have made some beautiful cards. This is a great challenge, unfortunately with my move, my stuff is in the room but not unpacked. I will be back next week/ Love all of you!